Would Aly Raisman Date the Raiders’ Colton Underwood? Olympic gymnast Aly Raisman is winning gold medals… and boys’ hearts! 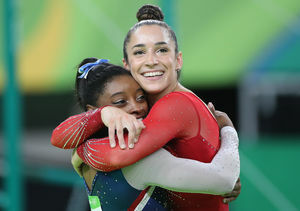 Though her U.S. teammate Simone Biles has been grabbing headlines lately for her cute fan encounter with Zac Efron, Raisman is now making news for her love life. While chatting with Yahoo! Sports about dating and guys, Raisman, 22, was shown a video of Oakland Raiders player Colton Underwood, 24, asking her on a date. 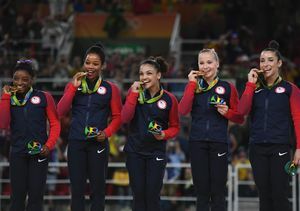 In the video, he said, "Just want to congratulate you on all your success in the competitions and representing the U.S.A. over there. I know I've been following along. My roommates, my teammates, everybody here is super proud of you. If you're ever in San Jose and want to go on a double date with me and Andrew and Shawn, let me know.” Watch! Underwood reportedly got the courage to post the video from Olympic gold medalist and gymnast Shawn Johnson, who married his teammate Andrew East in April. Raisman responded to Underwood’s video, tweeting him, "@Colt3FIVE thanks for the sweet video.... looking forward to meeting you :)." He tweeted her back, "Anytime! Looking forward to meeting you too. Safe travels back, see you soon!" We’ll just have to wait and see if these athletes go on a date!